The Business Tax Act 2009 is an important set of laws which regulates the taxation structure for available companies in Seychelles. There are numerous tax benefits for offshore companies for example, and foreign investors should, first of all, observe the rules and regulations related to the taxation regime before commencing any activity. 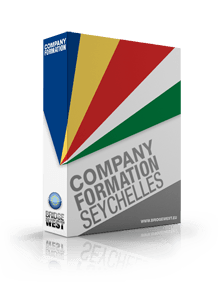 With complete support offered by our team of company formation specialists in Seychelles, investors from abroad can open a company in Seychelles in a fast and reliable manner. What is the tax year in Seychelles? According to the Business Tax Act 2009, the tax year in Seychelles is the one year period (1st of January – 31st of December) necessary for taxpayers to comply with the rules in this sense and pay the imposed fees for companies and businesses in Seychelles. What is the business tax in Seychelles? The business tax is imposed on insurances, natural resources of the tax year, interests, royalties, and dividends registered by a non-resident company in Seychelles. There are also tax exemptions in this matter, depending on a particular registered revenue in a firm with permanent establishments in Seychelles. What are the allowable deductions in Seychelles? • the authorized amount as stipulated by the provisions of the law. We invite you to talk to our Seychelles company incorporation agents for extra information about the taxable incomes of companies in Seychelles. Also, our team can support foreign investors set up companies in Seychelles. Partnerships and trusts in Seychelles are subject to business tax returns if they have registered losses for one taxable year. One should know that the business tax allocated to a company on the market is payable by the date the business tax return in that year is drafted. The same Business Tax Act 2009 provides information about the double taxation agreements signed by Seychelles with numerous countries worldwide that help companies avoid the double payment of taxes. Please feel free to contact our team of company formation representatives in Seychelles for extra details about the tax legislation in this country.